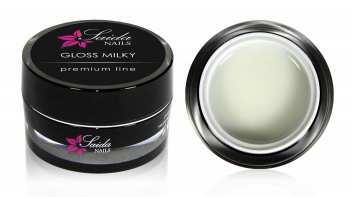 Durable gloss without yellowing, milky white - perfect for gradient nails! 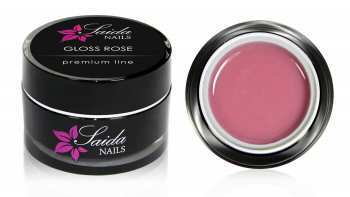 Durable gloss without yellowing, milky rose, covers last unevennesses on the nail! Extremely scratch-resistant, no yellowing, wet look, NO TACKY LAYER! Matte nails in satin look, no yellowing, NO TACKY LAYER! Absolutely matte look, no yellowing, NO WIPE! 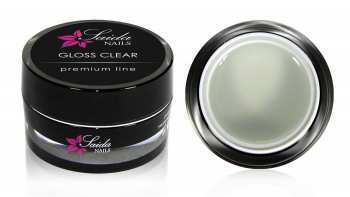 With a high-quality finishing gel natural nails and artificial fingernails are protected for weeks. To reach this protection we offer you the appropriate products. With our professional sealing gels and quick finish products there is no yellowing but only a noble look. 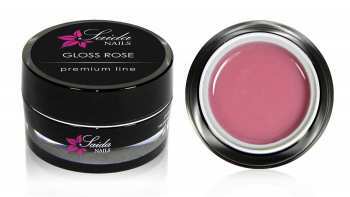 As the last layer on the nail modelage, our sealing gels ensure a beautiful gloss or wonderfully soft matte looks. Our finishing gels do not become yellow, even after a long time. Anti yellowing makes sure of that. In our range you will find sealing gels with different consistencies, so that the right product is available for every working method. Our thicker gloss gels help to conceal the last bumps on the nail. If you prefer to work with thinner gels, our finishing gels out of the Premium Line Series are the right choice for you. At Saida Nails you will find UV sealing gels as well as gels without tacky layer. Gels from the bottle like Quick Finish Glossy are generally available in our online store without tacky layer. This sealing gel for nails is characterized above all by its robustness and is particularly scratch-resistant. The Quick Finish Matt creates nails with a matt velvet look. The advantage of this gel for you: It is very productive. Besides clear sealings you will find gels in different colours in our product range. From rosy to milky, everything is there. Whether you prefer to work with dyed, thin viscous gel or with a medium to thick viscous finish, we have the right gel for you. And if you are not sure, please feel free to contact our product advice. Rely on high-quality sealing gels for your work and seal the nails of your customers with first-class finishing gels! All Saida Nails products are manufactured in accordance with strict KVO (European Regulation on Cosmetic Products) regulations and are not tested on animals. Customer-friendly service and a very good price-performance ratio distinguish our gels additionally. Do you need inspiration for your work? Then you will certainly find some ideas for your customers on the Saida Nails YouTube Channel.